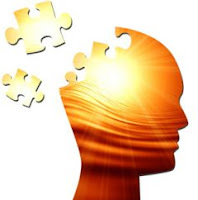 In previous posts on this blog and as a guest author on Valinda Kimmel's wonderful blog, That Thing You Do, I have discussed fluency as the "bridge" between decoding and comprehension. When students struggle with decoding, or when they seem to have hit a plateau in their reading development, it seems logical to double down on decoding instruction to help them move forward. There is another choice we could try, however, and that is to provide fluency instruction: practice in reading a passage "so it sounds like talking." Fluency is the smooth, accurate, expressive processing of connected text. Fluency includes automaticity (rapid and accurate decoding) along with prosody (the melodic features of oral language). As I tell my students, fluency is "reading so it sounds like talking." To read with fluency we must be able to decode quickly and accurately and understand what we are reading so we know where to pause and when to raise and lower our voices. Fluent reading allows the reader to gather meaning on the run. Gathering meaning not only facilitates comprehension, but it also aids decoding. As I have said in the posts on word solving, decoding is best seen as a meaning driven process that involves visual information (What would look right? ), syntactical information (What would sound right? ), and meaning (What would make sense?). Fluent reading allows the reader to push through the text to quickly identify words and gather meaning. Many struggling readers fail to achieve fluency in reading because so much of their attention is focused on decoding the words, often through laborious efforts to "sound-it-out." 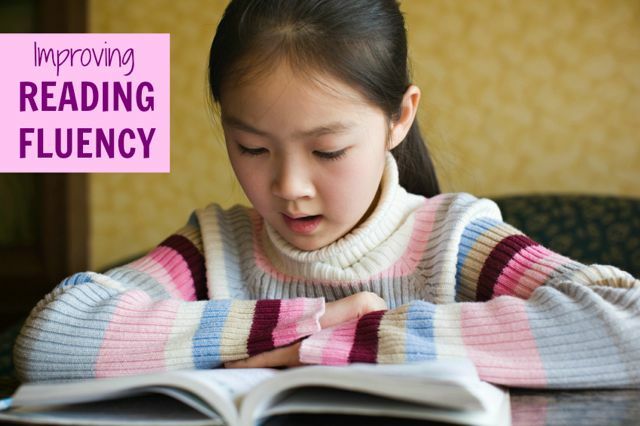 Research indicates that fluency instruction, including lots of repeated reading, can help students process text more rapidly, improve decoding abilities, and strengthen comprehension. Most importantly, fluency instruction seems to transfer to other reading activities, improving overall decoding and comprehension abilities (Rasinski and Samuels, 2011). Like all good instruction, good fluency instruction includes teacher modeling, guided practice, independent practice, follow-up and feedback. It is best to choose short passages or poems or song lyrics for fluency practice. Poems and songs support fluency through rhythm and rhyme. In my book, Snack Attack and other poems for developing fluency in beginning readers, I suggest the following instructional procedure. In preparing for the lesson, I put the poem on chart paper or display on a Smart Board. I also make a copy of the poem for each student. 1. Pre-reading Activities: Before reading the poem, activate background knowledge and interest through discussion. Using the title, illustration or an appropriate question as a stimulus, have the children make predictions about what they will read in the poem. 2. Teacher Modeling: Read the poem aloud to the class at least once. Emphasize meaning. Read expressively. As you read, point to the words on the chart or screen in a smooth, left to right motion. Children need to hear the poem read fluently and expressively so that they can learn what fluent reading sounds like. 3. Comprehension Instruction: After listening to your oral reading of the poem, have the children check their original predictions about the poem’s content. In a guided discussion help students to retell what happened in the poem. Discuss difficult vocabulary and figurative language. An understanding of the meaning of the poem will support students in developing their reading fluency. 4. Echo Reading: Read aloud one line of the poem and have the children echo back what has been read. Read the next line, have the children echo again and so on throughout the poem. Be sure to point to each line and keep students focusing on the text. Some students may not look at the text during echo reading, relying instead on listening memory. Guide them to keep their eyes on the words as they echo. 5. Choral Reading: Lead a re-reading of the poem. Invite all students to join in the re-reading. Weaker readers can rely on classmates to help them over the difficult passages or may choose to be silent or listen. Again, remember to point to the words as you and the children read them together. 6. Paired Reading: Children are each given a copy of the poem and are asked to choose a partner. Alternatively, the teacher may assign partners. Have children find a comfortable place to read and then take turns reading the poem to each other. The listening partner is asked to play the role of helper, listening and following along closely to provide help if the reader needs it. Partners are encouraged to keep reading to each other until each can read the poem fluently. 7. Teacher Conference: When children feel they have mastered the poem, they request a teacher conference. During the conference, the child reads the passage aloud, while the teacher keeps a record of general fluency, miscues and decoding strategies employed. The teacher provides specific feedback to the student on their fluency and use of strategies. Choral and echo reading may be repeated several times until the teacher feels that most students will be able to combine memory, sight vocabulary, and decoding strategies to read the poem independently. After a few choral readings, the teacher can stop reading and have the children read chorally without the teacher’s guiding voice. Vary choral reading as the poem warrants. Have different small groups of students alternate verses or lines or have students take the parts of speaking characters in the poem. Have pairs of students read parts of the poem or have the boys read one time and the girls another. Variety in choral reading will help keep interest and attention high. Rasinski (1994) has recommended that follow-up work include a brief period of word work (adding words to the word wall, explaining word families, word sorting, word games) as a part of the lesson. These lessons can last over a period of several days, revisiting the poem each day with choral, echo and independent readings and word work activity. Fluency instruction can also happen when you are "listening in" while a student reads, either in a small group session or during independent reading. When students read in a word-for-word or choppy fashion, try the following prompts. Read that again and make it sound like talking. Read that again like you were telling me the story. Read that again and be sure to pay attention too the punctuation. Listen to me read that and see if you can read it like I did. If you would like to try a fluency lesson such as the one outlined above, here is a poem from my book Snack Attack to get you started. This is aimed at second and third grade struggling readers. Then turns and speeds right back again. Climbs the mountains, crosses the plains. What might its boxcars each contain? Perhaps some fruit or corn or grain. With cars linked in a giant chain. The power it has to entertain. Makes noise that clatters through my brain. I love that rattling, rumbling train. A Trenton charter school could close in June, one year after it moved into a building renovated at a cost of $17 million, because the state Department of Education decided not to renew the school's charter. 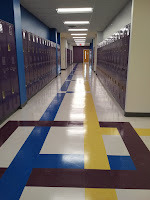 The charter school is the International Academy of Trenton. The Department of Education cited the school's failure to provide a strong educational program and organizational system. The school was among the lowest scoring schools in the state on the PARCC exam (A lousy way to assess schools, but the metric of choice for charters.). During visits to the school, state monitors noted lax discipline, high levels of absenteeism, frequent disturbances in classrooms, students on cell phones during class, and students leaving class for no apparent reason. Parents reported that the school is plagued by high staff turnover. Indeed the average level of experience in the school is 2.8 years, compared to a statewide average of 11.8 years. A school performance report showed chronic absenteeism and low levels of achievement in math and English. The school has had three executive directors and two interim executive directors since 2014. This is, of course, just another story of charter school failure, typical in many ways. Poor organization, high staff turnover, inexperienced teachers, low scores, revolving door leadership, but for the 529 students enrolled at the school it is a total disruption of their education. Next school year will bring them new challenges, new teachers, new classmates, a new building. This kind of disruption may be the most lasting legacy of the repeated failures of charter schools. One parent's comment struck me as particularly telling. Sharita Wilson felt that a charter school was the best choice for her child because of "overcrowding in the public schools." The parent may not realize this, but this statement is loaded with irony. One of the chief causes of overcrowding in the public schools is that so much of the school budget goes to charter schools. I would like to see what kind of impact that $17 million in renovation costs, and the millions in other funding that went to International Academy might have had on class size in those traditional public schools. To be fair, the traditional public schools of Trenton have, like urban schools in most cities, struggled for a long time. Finding adequate funding has always been a struggle and when money has been available it has not always been spent well. It is understandable that Trenton parents would see charter schools as a viable alternative and some charter schools in the city have been successful. At least if you define success by improved test scores and think it is worth the "no excuses" military style discipline and shaming that is a part of these so-called successes. Trenton Public Schools have long been in crisis. Right now, however, I am thinking of those 529 students, who are facing more disruption in their lives. Learning happens best in consistent, predictable environments. The disruption that often accompanies the charter sector is antithetical to learning. Adults in charge need to stop looking for quick fixes like charter schools and vouchers and get down to the serious work of addressing income inequity, segregation, and the wise investment of funds and educational expertise in the public schools. Some may argue that this story is a success story because the Department of Education has acted to close the school. It would have been better for all concerned, though, if it had never been permitted to open. 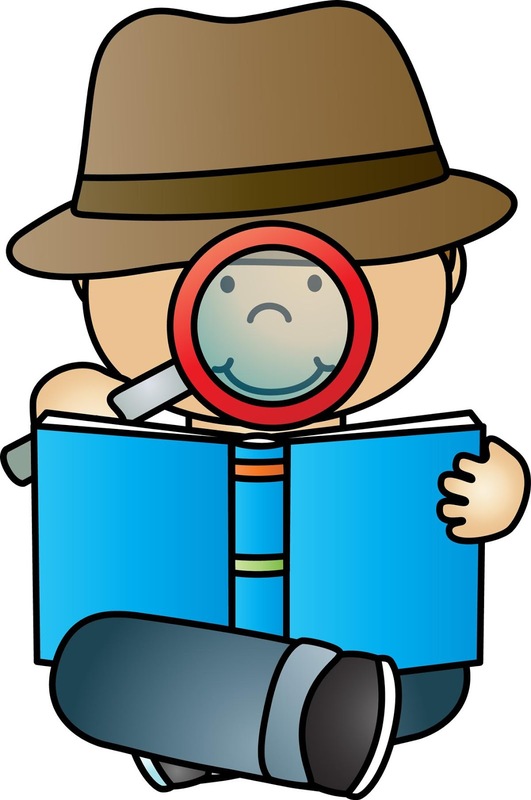 In part 1 of this three part series on solving words here, I proposed the view of the reader encountering an unknown word as a flexible problem solver on the lookout for clues that would lead to accurate word identification. In part 2, I suggested some of the ways that teachers can directly teach students the tools needed to solve word problems such as the variety of sound-symbol based strategies and context clues available. We know, however, that word solving strategies, in order to be effective, must be practiced in real reading situations, so, in part 3, I would like to look how the teacher can facilitate student problem solving during reading, by prompting at the point of difficulty. Readers need to rapidly coordinate a great deal of information when they are reading any text and this coordination takes time and many encounters with print to develop. When young readers come upon an unknown word they provide the teacher with the ideal teachable moment. A moment when instruction can be most powerful, where it is contextualized, and where feedback on success or lack thereof is immediately available. Much of what I share here comes from the work of Marie Clay, whose groundbreaking work. Becoming Literate, has been highly influential in our thinking about reading instruction. Clay was also the founder of Reading Recovery, an intervention strategy for struggling first-grade readers. I was trained in Reading Recovery and worked as a Reading Recovery teacher. Reading Recovery principles are also the underpinnings of guided reading instruction, popularized in this country by Fountas and Pinnell in their book, Guided Reading. I know the value of these strategies and have seen first hand how well they can work, but I will also admit that I was not successful with every struggling reader I worked with. There are many ways to help children to literacy. I share here one that I have found to be effective and which is in concert with my general view of how reading works. Let us suppose that the reader is confronted with this sentence in the famous Caldecott Honor picture book by Peter Spier. The fox ran out on the chilly ________. The reader already has a great deal of information about the blank word before any visual (phonics) knowledge is available. Native English speakers will know this is a noun, even if they cannot articulate that actual classification, because of its place in the sentence. Native English speakers will also know this is probably a noun of time like day, night, morning, because those words would make sense (although it could be field, meadow, pasture, etc) Armed with that knowledge, lets add some visual information. The fox ran out on a chilly n_______. Most of us will now identify this word as "night" and will confirm that by looking at the rest of the word. Notice that a "sound it out" strategy won't help the reader here because of the silent letters, so the reader needs to employ an onset - rime approach to identify the word through the familiar onset (n) and the familiar rime (-ight). With this basic understanding in mind we can discuss how prompting at the point of difficulty works. When a reader comes upon a word she doesn't know, we can prompt her to use strategies to help solve the problem. The key is to help the reader use all the sources of information available to them to solve the word. Here are the key prompts we can use as teachers. Read the sentence again and say the first letter. Keep working through the word. Do you know a word that starts like that? Ends like that? What do you know that might help? Most of these prompts are taken from Guided Reading by Fountas and Pinnell. See the book for a longer list of prompts. I use the prompt, "Keep working through the word" instead of sounding it out, because many words cannot be sounded out, so readers may need to use sounding out, onset-rime knowledge, knowledge of word parts and analogy to come up with the word. So for me this is "working through the word." You can see what else I have to say on "sounding-it-out" in this post. If the reader successfully solves the word, prompt her to go back to the beginning of the sentence and reread to solidify the meaning and the word identification. If after a few prompts the student cannot solve the word, it is a good idea to tell the student the word and have them move on. This problem can then become the target of explicit instruction after the reading. So if a student were unable to decode the word "night" in the reading, a lesson on the rime pattern -ight would be in order. Many other prompts are available to the teacher, to help students self-monitor their reading, to improve fluency, etc., but the prompts here focus on word solving, so we will save discussion of other prompts for another day. Of course to be able to prompt students at the point of difficulty the teacher must have the time and structure in the class to listen to individuals read. In my classroom this time came during small group reading time (whether guided reading or some other small group structure) and during independent reading time, when I would visit and listen in to students reading on a one-on-one basis. The idea here is to think of students as apprentice word solvers. As the best word solver in the class, you, the teacher, share your expertise in such a way as to assist the apprentice to take on the same word solving behaviors. As the teacher you construct a prompt scaffold upon which students can construct their own growing understanding of how words work. In my previous post. 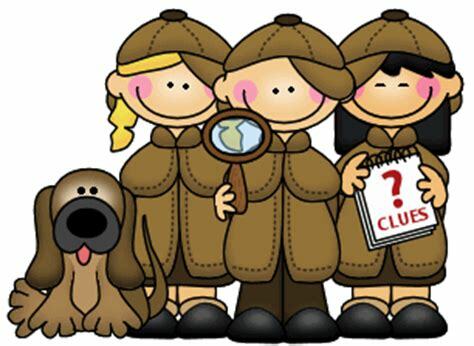 When Readers Struggle: Solving Words, Part 1, I described a reader facing an unknown word as a problem solving word detective, a Sherlock Holmes with a word mystery to solve. In Part 2, I would like to take a look at the tools proficient word solvers needs to decode the problematic word in front of them. Sherlock Holmes had his magnifying glass and his powers of deduction. What tools does a word detective need? 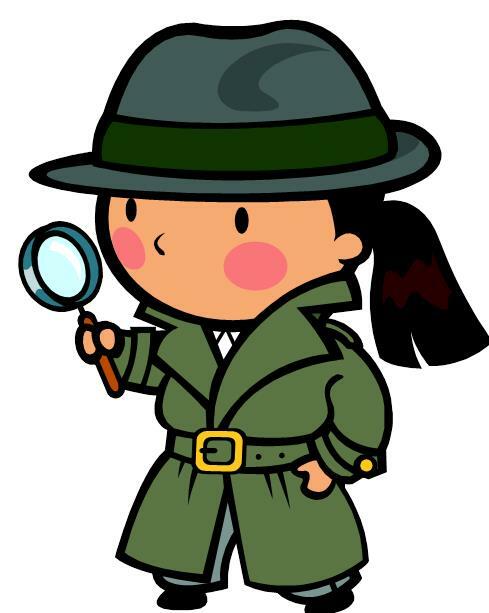 Like all good detectives, our word solvers must use all the clues available to them to solve the word. In reading connected text, any unknown word offers us three types of clues. Visual - These are the clues that we usually think of as phonics. They are related to the letters that make up the words and the reader's knowledge of the sounds these letters make and the various sounds combinations of letters can make. Syntactic - Syntax deals with the order of words in a sentence. Our language is structured in very specific ways with nouns, verbs, adjectives, etc. all having their proper place. Native speakers of English know this word order from their experience with oral English, so they know when a word does not sound right in a sentence. Semantic - Stories and sentences provide the reader with clues as to meaning. While reading, readers develop a certain expectation about what words would make sense in the story. When faced with a sentence like The rabbit jumped when it heard the loud ______. The reader might logically guess that noise, boom, crash would be reasonable, meaningful words to fill in the blank. Phonics instruction can be controversial, but the controversy is really not necessary. It has been established that most children need phonics instruction that is early, systematic, clear and direct, and frequently practiced and applied in real reading and writing situations. In other words, a balanced approach, which includes direct phonics instruction and lots of opportunities to read and write real stories. It is also important to understand that systematic and direct does not mean tons of phonics worksheets for students to complete. In fact, research has found no effect on improved reading based on number of worksheets completed. What systematic means is that teachers choose to instruct letter sounds. What clear and direct means is that teachers clearly state to the students what the sounds are and directly demonstrate for them how these sounds operate in words. This can be done in a variety of ways, including mini-lessons, targeted lessons as part of a shared big book reading, or a shared pen interactive writing lesson. While there is no proven sequence of instruction for phonics lessons, most experts suggest proceeding from the clear and reliable consonant sounds (m, s, d, t), to more complex consonant clusters ( st, br, sw) and digraphs (ch, sh, th) and finally to the very variable vowel sounds. Because vowel sounds are so variable, it is a good idea to introduce them as a part of a system of letters or a rime. Words can be thought of as composed of onset and rimes. In the word stop the onset is st- and the rime is -op. I have written extensively on onset and rime instruction for struggling readers in this post. For the purpose of this discussion, I would suggest that instructing from an onset and rime orientation has been shown by many researchers to be an effective way to help struggling students decode. Knowledge of onset and rime is one tool our word detectives should have in their arsenal. As students advance beyond the second grade and need to read longer words, two more tools can be added to the repertoire: morphemic analysis and analogy. Morphemic analysis involves seeing multi-syllable words as made up of familiar prefixes, suffixes and roots. Learning to look for these familiar chunks of words can be a great aid to decoding these longer words. Teaching kids common prefixes and suffixes and showing them how to analyze words in this way has the added benefit of helping readers discover the meanings of these new words. Another effective strategy students may use for longer words is analogy. In other words, students can use words that are already in their sight vocabulary to decode unfamiliar words. So, for example, if the reader encounters the unknown word "furniture", she can look at familiar chunks of the word to decode it. So, "furn" is like a word I know "turn" and "it" is a word I know and "ure" ends like a word I know "sure", so the word must be "furn - it - ure". Placing the word in the context of the reading then allows for correct identification of the word. When children encounter words in meaningful context they can employ tools other than phonics to assist in solving the word. These clues, as discussed above, are syntactic and semantic. In order to use syntactic cues the readers must ask, "Does that sound right?" when decoding a word. In using this clue the readers lean on their knowledge of oral English to know if the word they have decoded sounds like it could fit in the sentence. Using semantic clues requires the reader to ask the question "Does that make sense?" after a decoding effort. Here the reader leans on the idea that sentences are meaningful, so a word must make sense in the context of a sentence. The coordination of syntactic and semantic clues with phonic clues is best done, of course, in real reading situations. You can read more about the importance of meaning in word identification in this post called "The Limits of "Sounding It Out." and in this post, entitled "Decode This: Meaning Helps Kids Break the Code." To learn to read skillfully, children need practice in seeing and understanding decodable words in real reading situations and with connected text. The purpose of word-identification instruction is to establish paths from print to spelling, speech, meaning, and context. This can best be done when phonics instruction is part of a reading program that provides ample practice in reading and writing. So, no matter how good our word solving instruction, we must be sure to provide lots of opportunities for kids to practice their skills in real reading contexts. For all readers this means plenty of time for independent reading and writing daily. For struggling readers, there are a few other context-based strategies that will prove to be useful. Repeated Reading - Reading the same story, poem, passage, or song over and over again is a proven way to help students improve sight vocabulary, decoding, fluency and comprehension. I have written extensively about the power of repeated reading in this post. Interactive Writing - Interactive writing or shared pen is a language activity that involves the teacher and children in constructing messages, while also working on sound symbol relationships. At a “Morning Meeting” or following a class read aloud the teacher leads the children in a writing activity on chart paper for all to see. The teacher does the bulk of the writing, but shares the pen with students who get to practice their growing phonics knowledge by matching the sounds of the words they wish to write with the letters needed to write it. For more on interactive writing see Reading Rockets here. Think Aloud - Often just talking about words and the strategies that skilled readers use to decode can be helpful to students. I like to use think alouds when talking about particularly knotty problems in decoding such as silent letters. Students who over-rely on “sounding it out” may encounter difficulty with a word like “sign.” I like to “think aloud” with the students here. Suppose the students encounter the sentence, “Mom put her finger to her mouth and gave me the sign to be quiet.” In this context I would talk about how the word “sign” comes from the word “signal” and that in English spelling we often keep letters that are silent to help us understand the meaning. So while the letter “g” in “sign” is silent, it is still helpful because it reminds us that this word means something like “signal.” Sharing knowledge and insights about words can help children not only comprehend, but also decode. In sum, students need systematic, clear and direct instruction in phonics balanced with lots of real reading practice in relatively easy books to become proficient word solvers. There is one more piece to this puzzle, prompting at the point of difficulty, which I will address in the next post. The next three posts in this series will deal with what is probably the number one concern of most teachers when it comes to struggling readers: decoding. I choose to label what we typically call decoding, word solving, because I think this term gets closer to what is actually going on as students encounter unknown words in their reading and can, therefore, lead us to more informed instruction. In Part 1 of Solving Words, I want to address two key underlying understandings of decoding that we may not always think of as we ask kids to "sound it out" when they run into difficulty. The first of these understandings is that identifying an unknown word encountered in text is a problem solving situation and that applying our problem solving abilities is critical. The second understanding is that any of the tools we have to decode words must be applied flexibly because none of these tools works 100% of the time. When a reader encounters an unknown word, the reader is confronted with a problem to solve. As teachers our job is to help the reader develop as many tools as possible to bring to this problem solving situation. Let me take a step back and look at what steps we follow when faced with any problem to be solved. We'll use the sample of a leaky faucet here. Define the problem - What is going on here? The faucet is dripping and driving me nuts. Analyze the problem and gather evidence - What information is available to help me solve the problem? The faucet is dripping. I know it is old. I know faucets often drip because of a loose connection or a leaky washer. Inventory my tools - What do I know that can help me? I have a tool box with adjustable wrenches, plumbers tape and a variety of different sized washers in the basement. I also know there is a valve to turn off the water. I also can look for a You Tube video on my IPad to show me how to change a washer in a faucet. Form a hypothesis - Maybe if I try this I can solve the problem. I think the most likely situation is a leaky washer. Test the hypothesis - What happens if I try this? The old washer looks like it has moved out of position and is worn. Let's replace it and see if that fixes the problem. Evaluate the solution - Did the tested hypothesis work? After I put this back together and turn the water back on let's see if it holds. No leaks. Good. Now lets take a look at these steps as they relate directly to problem solving an unknown word encountered while reading. Define the problem - This word does not look familiar. What can I do? Analyze the problem and gather evidence - Ok, I need to know this word to understand what I am reading, so let me see what I can figure out. The word has familiar letters and I understand what I have read so far, so I should be able to do this. Form a hypothesis - If I work through the word, and use these strategies, I should be able to come up with the word. Evaluate the solution - Does the word look right, sound right, and make sense? Now, obviously a reader must be able to conduct this problem solving scenario almost instantaneously. If the reader struggles for any period of time over the unknown word, comprehension will suffer. So, children need to have a readily available tool box to access quickly and apply efficiently to solve the problem. The point here is to help readers see that they are junior Sherlock Holmes's trying to figure out a mystery with all the clues right in front of them. Flexibility ties nicely into the problem solving view of decoding. One key element of problem solving is evaluating the solution. Since readers can never be sure that any one solution will work, they must apply the solution, whether it is "sounding it out", or onset/rime, or context clues, flexibly with an understanding the strategy may not work and something else must be tried. I have often seen a lack of flexibility in word solving frustrate struggling readers. One memorable incident involved a first grade reader at the Rider Reading and Writing Clinic, when I was working there as a clinician. In order to get some sense of what the student (let's call her Mary) knew and was able to do in reading, I handed her a short reading passage about a cat called, Muff. Mary took the passage from me and, in a clear and precise voice, read "MMM-UHH-FFF-FFF." Mary had clearly learned the sounds of the letters and was a champion of "sounding out", but she applied this strategy so inflexibly that she had no other strategy and never blended the sounds into actual words. Mary had a flawed understanding of what reading was and I knew where to start my work with her. The boy was making a model airplane from a kit. The child does not immediately recognize the word "model", but knows another word with a similar pattern, "motel." Using the analogy strategy, the child matches "model" with "motel" and pronounces the word "mo del'". The child must now reconcile this pronunciation with what he already knows. An inflexible reader might be satisfied with the incorrect pronunciation. The flexible reader might realize this pronunciation doesn't sound right, doesn't sound like a word I know, and think, "What would make sense?" Combining strategies might get the reader to the correct pronunciation. So when "sound it out" or analogy doesn't work, kids need to have other tools to go to and they need to be ready to try these tools flexibly to solve the problem. Teaching for flexibility isn't easy. Some kids cling hard to a one strategy, often sounding it out, and seek to apply it universally. The best approach for the teacher is to communicate to kids that solving words is a problem solving activity and that readers need to be ready to use all the tools that are available to them. And, of course, teachers must model that same flexibility when demonstrating for students how words can be solved. In Part 2 on decoding, I will discuss the various strategies we need to teach and some possible strategies for teaching them to struggling readers. 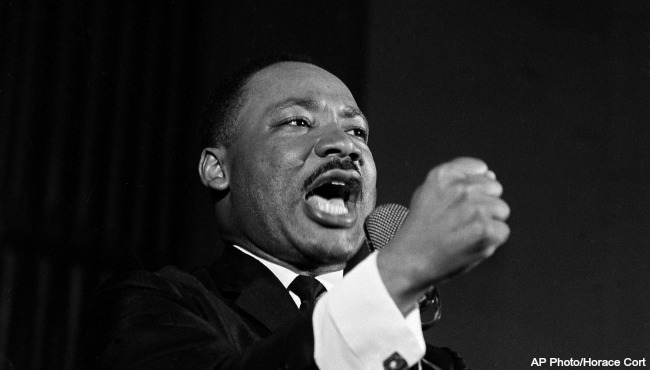 Today, Martin Luther King, Jr. Day, thousands of people will honor Dr. King by doing service in their community. My hometown of Philadelphia boasts of having the largest MLK Day of Service event in the country. This is a wonderful thing. I am pleased that so many will honor the great man's legacy in this way. There are other ways to honor Dr. King, of course. We can honor his legacy everyday by fighting to make the United States live up to its advertising: With Liberty and Justice for All. We can honor his legacy by the way we conduct our own lives, working daily to attain the ideal of an open and welcoming attitude toward all people, no matter our differences. And we also can honor his legacy by speaking up when we see injustice, hate, racism, and intolerance in our society. As the quote above says, we must not be silent about things that matter. And so today, to honor Dr. King, I must decry in the strongest possible terms the vile, divisive, completely unacceptable rhetoric coming out of the mouth of the President of the United States. This cannot stand and failure to raise our voices against it will mean, as Dr. King suggests, "the life of our nation will begin to end." Donald Trump is not our first racist president. We have a long history of racism in that office, from Thomas Jefferson to Andrew Jackson to Theodore Roosevelt to Woodrow Wilson to Richard Nixon, but Trump has ridden his racism into office and doubled down on it in office as few others have and after the country has begun to recognize the damage it has done with 400 years of racism and has tried, haltingly for sure, to do something about it. Trump is cynically appealing to the most base instincts of his core supporters for his own aggrandizement and at great cost to the country. True leaders appeal to people's better angels, asking us to be better, kinder, more open to others. That is the legacy of Dr. King, and, oh by the way, our previous president. It is no surprise that Trump is racist. Fifty-years ago, he conspired with his father and other real estate moguls to exclude blacks from their housing developments. He rode to prominence politically by leading the birther movement against Barack Obama. He set his campaign crowds to cheering by calling Mexicans rapists and once in office, he praised white supremacists as "some good people." So, we should not be surprised by his comments this week about "shithole countries" or his negative characterization of the people of Haiti, or his seeming preference for people from lily-white Norway. We should not be surprised, but we should also not be silent. So here is what I plan to do to raise my voice in protest today. Create five pro-unity, pro-humanity, anti-racism tweets to send out throughout the day and send them to @realDonaldTrump. Perhaps the most horrifying aspect of Trump's racist statements has been the failure of Republicans to speak out and condemn them. Apparently, Senator Lindsay Graham confronted Trump on this at the meeting. Good for him. Where are the other voices of Republican leadership? In their absence, we must fill the void with our own voices. Qui tacet consentire videtur: He who is silent consents. I clearly remember my eldest daughter, Beth's, first sight word. Her four-year-old self was strapped into the back seat of our 1965 Mercury Monterey, as we approached the corner of Pennsylvania Avenue in Yardley, PA. From the back, Beth, ever the back seat driver, pointed to the red, hexagonal sign in front of us and yelled, "Stop!" I stopped the car, turned around in my seat and said, "Yes that sign says, Stop." Now I know what you are thinking. Beth probably wasn't reading the word. She saw the sign, the red color, the shape and used her experience riding in a car before to know what the sign was communicating. All this is true. But what I would like to suggest is that the learning of all sight words is enhanced by context and that when readers struggle to acquire sight words, we might want to consider having them practice them in a real reading context. The importance of sight words is well understood in the literacy field. Children need a goodly store of sight words in order to smoothly and fluently process text. They need to know many words by sight because so many frequently occurring words (of, was, any, they, said) are irregularly spelled. Sight words also provide an "anchor" for beginning readers learning one-to-one word correspondence in a line of print. Understanding the critical nature of sight words, teachers use a variety of strategies to help children learn these words. Strategies such as Word Walls, flash cards, sand writing, magnetic letters, and word games like Wordo or Bang! You can read more about traditional sight word activities here. These are all worthwhile activities when executed well. But it is also necessary for students to encounter these sight words in context. Context helps reinforce the rote learning of Word Walls and flash cards and also provides them with the support of real meaning as they attempt to solidify their perhaps shaky grasp of some sight words. Contextual sight word activities should include the following. Reading Patterned Books -Multiple readings of simple repetitive pattern books such as Brown Bear, Brown Bear, What So You See? or We're Going on a Bear Hunt. Repeated Reading - Reading a book over and over again is good for all sorts of literacy learning, including reinforcing sight words. Short texts used for guided reading offer lots of opportunity for repeated reading in school and at home. Poetry also offers good sight word practice in short texts. Shared Reading and Shared Writing - Shared reading through big books and shared pen writing provide the teacher opportunities to target sight words that need to be reinforced. Independent Reading and Writing - Time to read independently provides children time to practice sight words in context. Independent writing, with the assistance of the word wall or student word bank, provides opportunities to visualize the word and then reproduce that vision on the page with the word available for double checking. Songs - The rhyme and rhythm of songs can help reinforce sight vocabulary. Children sing the songs with a copy of the lyrics in front of them. Just look at the rich store of sight words in one verse of this Raffi classic. Word Windows - I've adapted this strategy from an article by Carol Chomsky in Language Arts (1976), titled, "After Decoding, What?" In this strategy children read and reread a short passage or poem or nursery rhyme, until they can read it with ease (even to the point of memorization). The teacher then uses an index card, I use 4' by 6', with a rectangle "window" cut out of it large enough for one word of print to show. The teacher lays the card over the text, revealing one word. This one word is a targeted sight word. The child is asked to read the word. If the child can read the word, great. It is now a sight word. If the child can't read the word, the teacher raises the card and allows the child to read the passage and discover what the word is. Repeated uses of the activity help students truly look at sight words and hopefully commit them to visual memory. One final (non-contextual) strategy for kids who really have a hard time getting sight words into visual memory - Disappearing Sight Words. Write the targeted word on a white board in dry-erase marker. * Let's use "said." Say the word slowly with the child without distorting the letter sounds: s-s-s-e-e-e-d-d-d.
Have the child use an index finger to trace/erase the word while saying the word slowly. Repeat 2,3,4 times until the word is completely erased. Ask the child to read the word. * This also works with a regular chalkboard and chalk. Credit for this strategy goes to Dr. Susan Glazer, late Director of The Reading/Writing Clinic at Rider University. The strategy obviously taps into a child's visual, auditory, tactile, and kinesthetic senses in order to try to create a lasting mental image. If you are concerned that some of your students are not acquiring sight words quickly enough to support their growth as readers, I would suggest that you first take an inventory of your practices. Are you using the Word Wall effectively or has it just become another bulletin board in the room? Are the children getting enough contextual practice through repeated reading, and shared and independent reading and writing? This quick inventory may help you make adjustments that will lead to greater sight word success for your students. This post is Part 3 in a series on struggling readers. You may also be interested in When Readers Struggle: Background Knowledge and When Readers Struggle: Oral Language. A child's oral language facility, we know, plays a major role in learning to read. As Hiebert, Pearson, Taylor, Richardson & Paris (1998) put it, "Oral language is the foundation upon which reading is built, and it continues to serve this role as children develop as readers." Unfortunately, not all children enter formal schooling with a high level of oral language facility. While all children are language learning machines, and children from all socio-economic status groups develop a remarkable facility to communicate their ideas and use language to help meet their needs, some children do not grow up in environments that encourage them to the expansive use of their remarkable linguistic abilities. While nearly all parents love their children and want the best for them, some parents view communication with children as being a matter of "talking at" their children, while other parents view communication with children as "talking with" ther children. When children are "talked at" they may develop a transactional view of language. Talk is about communicating to me what I should and should not do and about trying to get something that I want. Children who are talked with may develop a conversational view of language. That is language is to be used for communicating all kinds of ideas in conversation with adults and other children and for speculating about things that may not yet be firmly understood. Obviously the transactional view limits oral language facility and the conversational view expands language facility. Equally obvious is that children with a more expansive oral language facility have advantages in literacy learning. But no matter what language facility a child brings to school, we must recognize that that oral language facility, limited or expansive or in-between, is the child's greatest ally in learning to read. If the child arrives in our classroom with an expansive oral language, our job is to expand it further. If the child arrives with limited oral language, our job is to develop that oral language so that it can support literacy learning. So again, as I have said in previous posts on struggling readers, we must not think in terms of a learning deficit, but in terms of an instructional challenge that is our responsibility to meet. How do we both expand and develop oral language in our classrooms? First of all, by recognizing that every child's language deserves respect as a valid system for communication. It reflects the identities, values, and experiences of the child's family and community. Secondly, we can employ strategies that the research has pointed to as effective. Here are a few. Make sure your interaction with children isn't purely transactional. In a classroom bustling with young children, it is easy to fall into a pattern of transactional talk. "Tommy, please sit down." "Mary please stop talking." "Johnny, put your book away in your desk." "Who knows the answer to the question?" Teachers interactions that best encourage language learning include having conversations that stay on a single topic providing children opportunities to talk, encouraging analytical thinking, and giving information about the meanings of words. So we need to make sure that our instruction is structured in such a way as to allow us to have conversations with children on an individual basis. This could mean engaging a child in a conversation about a writing project, about something they read, about something they saw, or about an experience they had outside of school. I think of these conversations as opportunities for the teacher to "lean in" to listen to the child and then respond in a way to help the child develop their conversational competence. 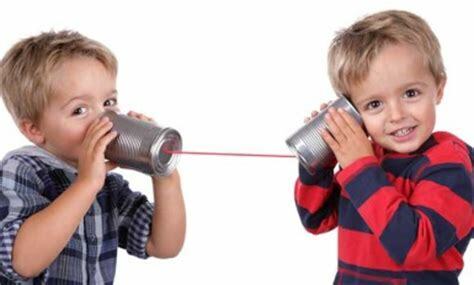 Children also, of course, develop their oral language through interaction with other students, so opportunities for structured play are critical to oral language development. Structured play includes such traditional early childhood activities as block play, dramatic role playing, and such play centers as a classroom kitchen and office where children both play together and talk to each other about their play. I recently enjoyed a session of play with Picasso Tiles with my four-year-old granddaughter that was full of talk and new vocabulary about shapes and sizes. In a time where structured play in the early years seems to be less and less valued, teachers need to fight for this valuable instructional time by pointing out its effectiveness in developing oral language. Shared readings of Big Books are a good way to engage children in conversation about a book (such as asking them to make predictions or to summarize what has been read) and to help students make the connection between oral language and print through the teacher tracking the print with her fingers as the words are read to and with the children. Shared writing of stories or classroom news gives students the opportunity to generate language that is then shared in writing. When students then share the pen (interactive writing) to record these orally composed stories, they again make the connection between oral language and print. When reading aloud to children, an activity that should happen frequently in the classroom, teachers should choose books that are of high literary quality and challenging for the children in the class. By reading challenging works, teachers can help students navigate difficult vocabulary through explanations and help the children to articulate their understanding of the story. The sophisticated language of the high quality picture book exposes the children to the rich possibilities of language and provides a contextual basis for building vocabulary. For children whose most important need in the early childhood classes is the development of oral language facility, the guided reading structure might be altered to be a guided talk session. In a guided talk session the focus would not be on sight words or decoding strategies or reading a short text, but on talk. I like to think of this as an expanded picture walk. A wordless book could be used, but any book with pictures that also tell the story can be used. The teacher guides the children in using their language in telling the story that is represented by the pictures. It is important that the teacher encourage the children to tell the story, not just describe the pictures, so a prompt that encourages the students to "Think about the story and talk about what is happening here" is suggested. After going through the book and talking about all the pictures, attempting to weave a story, the children might be encouraged to retell the story individually. The oral language that children bring to school is a critical factor supporting their growing literacy ability. It is therefore also critical that teachers plan to help children expand or develop that language so that they may be successful literacy learners. This post is the second in a series on struggling readers. You may also be interested in When Readers Struggle: Background Knowledge. Whenever I ask a group of teachers to identify areas that seem to cause difficulty for struggling readers, lack of background knowledge is sure to be near the top of the list. This is not surprising since a rich background knowledge has shown to be one key to skilled comprehension. Respected reading theorists Richard Allington and Patricia Cunningham have said, "the most important factor determining how much readers will comprehend...about a given topic is their level of knowledge about the topic." Background knowledge matters a great deal, but I think it is a mistake to say children "lack background knowledge" as if it is some deficit they have. Students are full of experience and background knowledge about all sorts of things. For many children, however, the background knowledge they bring to any reading task may not match well with that task, so better to think of lack of background knowledge as task specific rather than some inherent deficit in the reader. In fact I could make everyone reading this blog feel like a struggling reader by asking that you read and summarize the following. Having crumbled to 214 all out, with Jonathon Trott's 84 not out the glue across the otherwise brittle English innings, the tourists were back in the contest when Paul Collingswood's brace had the hosts wobbling at 100 for five at the turn of the 21st over. This passage, reporting on a cricket match in England causes most American readers trouble because of our lack of background knowledge. So. lack of background knowledge is situational, not inherent in the reader. As teachers we need to be able to identify stumbling blocks for our readers and prepare them to read comprehendingly by filling in background knowledge gaps that are exposed by a particular reading selection. Fortunately, we have quite a few tools available to help us fill those gaps. Picture Books - About 20 years , my colleague, Peggy Burke, a life-long educator with two masters degrees, signed up for a Harvard University seminar on The Science of the Brain. I will never forget how Peggy prepared for the seminar. She said to me, "You know I really don't know much about the brain, so I got this comic book called, The Brain Illustrated, to get me up to speed." Peggy's instincts as an educator told her that when she was going into new learning territory, it was a good idea to get some rudimentary understanding of the topic and what better way to do it than with a book full of pictures and clear explanations? One very good way to build student background knowledge for a topic is to read aloud to them from picture books. If the topic is metamorphosis, what better way to introduce it than with Gail Gibbons book, Monarch Butterflies? If the topic is the weather, why not start with Seymour Simon's book, Weather? Studying the American Constitution? I would recommend a read aloud of Jeanne Fritz', Shh! We're Writing the Constitution. As a bonus, on-topic read alouds can build interest and curiosity about a subject. And the research has clearly shown that engaged reading is more likely to be comprehending reading. Videos - With the advent of You Tube and other online services, it has never been easier to share video clips in the classroom (provided, of course, you can get past your school district's firewall). Videos go a long way to helping students acquire the background information they need for reading comprehension. The Highwayman, by Alfred Noyes, is a poem I like to introduce through video. The poem references a time when the horse drawn coach was the main mode of travel and when robbers (or highwayman) waylaid travelers to steal their money and jewelry. I find that viewing an animated conception of the poem helps students understand this world better. You can find the video I use here. It is best, I think, to keep the videos brief and it is also important to have the students turn and talk about what they have seen with each other, as well as discussing it as a whole class. Over the years, I have seen teachers show videos to students as a kind of reward. After struggling through Romeo and Juliet on the page, the students are treated to a video version of the play. I think this gets it all backwards. I believe the reading of the play would be greatly enhanced by showing the video first, so the students have some idea of what they are reading and have a better opportunity to visualize what exactly is going on. Talk - In any classroom there is sure to be a wide disparity of knowledge on a given subject. Some kids may know a great deal about a topic, others very little. It makes sense to tap into the knowledge of the entire class to activate and build background knowledge for the entire class. As the teacher, we can provide a structure to make this talk focused and productive. Two strategies that I have found useful for this are PReP and Anticipation Guides. PReP (Pre-Reading Plan) was suggested by Judith Langer (1981). Implementation follows these steps. Teacher chooses a reading selection and identifies its central concept. The concept is stated in a simple declarative sentence and shared with the class. The class is divided into small groups and tasked with listing words are phrases that are connected to the central concept. The students then group these words and phrases into logical categories. The groups share their lists with the class. The teacher then leads a discussion by asking the students clarifying questions like, "What made you think of that association?" and "How is this association directly related to the concept?" Students then refine their list, eliminating terms that don't directly relate and adding new terms suggested through discussion. Students then read the passage with the list at hand and then revisit the list reflecting on how their activated background knowledge aided their understanding. Read more about PReP here. Anticipation Guides get students talking about what they anticipate they will be reading about and talking about the key concepts they will encounter in the reading. Implementing this strategy requires the following steps. The teacher chooses a passage for reading and identifies key concepts. The teacher develops simple declarative sentences to capture the key concepts and sets these up in an agree/disagree, yes/no, true/false format. The students read the statements and decide if each statement is true or false or agree/disagree, etc. The teacher then leads a discussion where students defend their positions by providing rationales for their choices. The students then read the passage to confirm or disconfirm the positions they have taken. Post-discussion focuses on new understandings that have been developed through the anticipation guide and reading activity. For more on Anticipation Guides see here. As teachers we need to embrace student's differing experiential backgrounds, and even their lack of knowledge of things we think they should know, as an instructional challenge and not as a student learning deficit.